Could your company’s valuation be negatively impacted by your lack of compliance with the DCAA? For many firms that rely on DoD business, it’s important to realize how closely your valuation could be tied to your compliance with the DCAA.Â The following article helps explore some key elements to consider and highlights this frequently overlooked link. 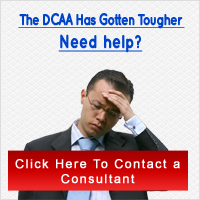 For more information on how DCAA compliance can impact company valuation, >>click here.